Ultimately, the heart is the most constantly and dramatically moving part of the human body. By a mechanic’s logic, it is therefore most likely to break or need adjustments. Potential pharmaceuticals have been developed to make molecular adjustments to the mechanical cardiomyocyte ratchets. Omecamtiv mecarbil is a selective cardiac myosin activator that acts by increasing the rate of entry of myosin to join actin in the tightened down force-producing state to increase function without any additional cost. Ultimately this molecule increases the systolic duration and stroke volume, while not increasing myocyte calcium. 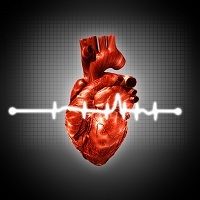 Amgen and Cytokinetics Incorporated have been examining omecamtiv mecarbil in phase II clinical trials for treatment of patients with chronic heart failure under the moniker COSMIC-HF (Chronic Oral Study of Myosin Activation to Increase Contractility in Heart Failure). Results were previously presented in late-breaking clinical trial sessions at the American Heart Association (AHA) Scientific Sessions 2015 in Orlando, FL. Patients were randomized to three groups and treated for 20 weeks: placebo, 25 mg omecamtiv mecarbil bid, and omecamtiv mecarbil titration group (up to 50 mg twice daily). They assessed the effect of omecamtiv mecarbil in chronic heart failure patients treated with stable HF optimal therapies who have with a left ventricular ejection fraction (LVEF) <40%, and elevated natural atrial natriuretic peptides. John Teerlink, MD, professor of clinical medicine at the University of California San Francisco and director of Heart Failure at the San Francisco Veterans Affairs Medical Center, described additional analysis at the Heart Failure Society of America 2016 Annual Scientific Meeting, in Orlando, FL. Teerlink explained that the hypothesis behind this study was that treatment with omecamtiv mecarbil would improve symptoms after 20 weeks of therapy. This analysis involved patient-reported baseline system assessment of the severity of the symptoms using the Likert scale and the Kansas City Cardiomyopathy Questionnaire. Researchers observed a significant difference between placebo and omecamtiv mecarbil titration groups, with almost a 5-point improvement after omecamtiv mecarbil treatment. Within this group they saw progressive improvements, but not statistically significant improvement in symptom frequency or burden scores.